Smartphones have made video recording easier than ever, but in the process they also created an unfortunate new phenomena: videos recorded in portrait/vertical orientation. 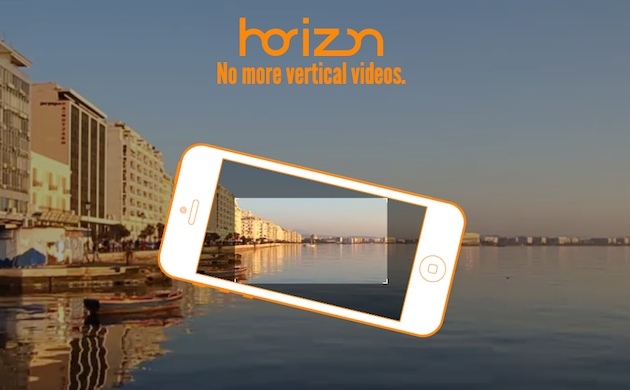 If you recall, last year I suggested a easy way vertical video recording could be fixed, and coincidentally or not... we now have a iOS app that turns my suggestion into reality: Horizon. With this app, no matter how you hold your iPhone or iPad, the recorded video will always be horizontal and levelled, looking "the right way". How do they do it? Simple image processing techniques that crop and rotate your video so it always looks leveled - though you'll lose some effective picture resolution, as a Full HD video recording (1920x1080) will only have 1080 pixels "wide" when recording vertically (in my suggestion, there would be the need for hardware support in the image sensor, to allow setting a Region of Interest that would keep the total resolution intact in either orientation. But... let's not be picky, even with reduced quality, an horizontal levelled video is way better than any vertical video!